Dr David Smith was appointed as a Chest Consultant in Bristol in 1996 following specialty training in Birmingham, London and Leicester. 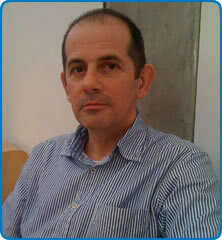 His clinical and research interests centre around bronchiectasis and pulmonary rehabilitation. He looked after medical student training at Frenchay and then Southmead Hospitals as Clinical and then Academy Dean from 1999 until 2012. He has been involved in postgraduate education since 2005 as Training Programme Director in the Southwest and now as Chair of the Specialty Advisory Committee at the Royal College of Physicians. He has also served as Chair of the Standards of Care Committee at the British Thoracic Society and is the current Chair of the Medical Advisory Committee at North Bristol Trust.